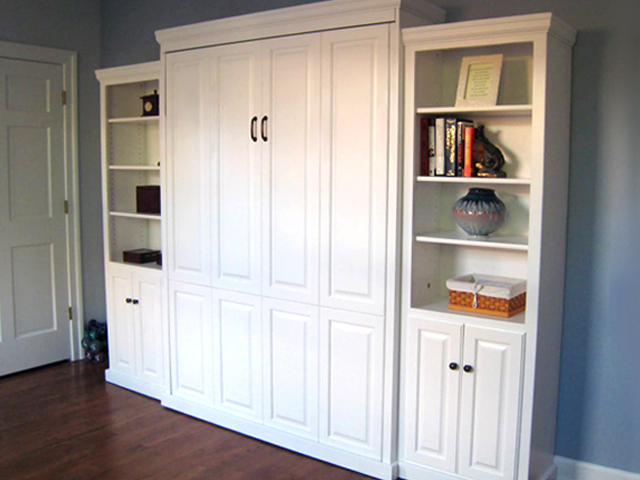 Murphy Bed Side Cabinetry | Murphy Beds | Lancaster Handcraft, LLC. 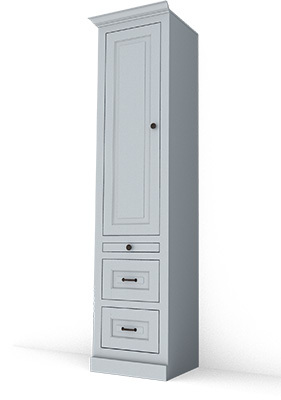 Completely change the look of your room with side cabinetry built to compliment your Murphy Bed. Drawers are constructed of 1/2” dove-tailed solid wood with side-mount, full-extension, ball-bearing drawer slides. Open bookcase top, over slide-out nightstand and cabinet door with shelf. 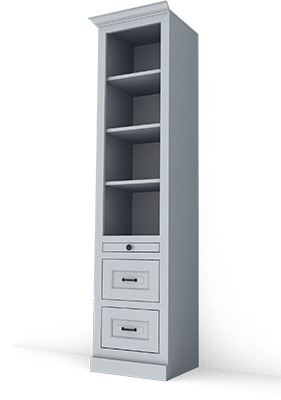 Open bookcase top, over slide-out nightstand with 2 drawers.